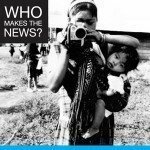 Women are still significantly underrepresented and misrepresented in news media coverage, according to Global Media Monitoring Project research in 108 countries coordinated by the World Association for Christian Communication, despite significant change since the project began 15 years ago. 76% of the people heard or read about in the world’s news are male. The world seen in news media remains largely a male one. The GMMP monitored 1,365 newspapers, television and radio stations and Internet news sites, 17,795 news stories and 38,253 persons in the news in 108 countries with 82% of the world’s people. The report Who Makes the News? 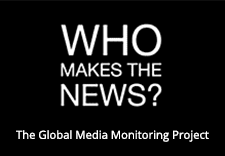 The Global Media Monitoring Project 2010 was released today in Arabic , English, French and Spanish, along with numerous regional and national reports. This is the first time that Cyprus is participating in the GMMP , coordinated by MIGS. On the 10 November 2009 MIGS monitored 157 news stories in the television, radio and print media. The survey included four television stations, five radio stations and three newspapers. The GMMP in Cyprus revealed that women are severely underrepresented in the news media. Although women have an overall prescence as news subjects, reporters and presenters, this presence only reaches 15% as compared to 85% men. This vast gender gap clearly demonstrates women’s near invisibility in the media in Cyprus. To view the full Cyprus report please click here. To view the highlights of the Global GMMP results click here. To view the full Global GMMP Report 2010 click here.